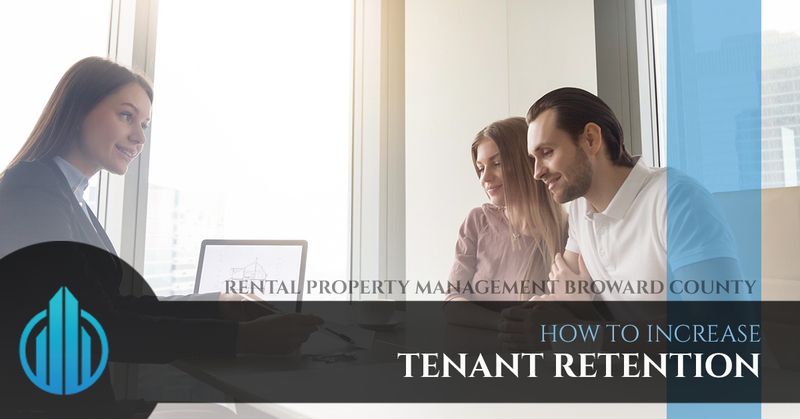 Tenant retention is potentially one of the most important parts of property management. Apart from marketing to new tenants, the only reason to invest time and money in property management is to prevent you from having to spend money and tie finding new tenants. Keeping the current tenants happy is the primary objective of any landlord, because happy tenants do more than just pay, they stay. Turnover actually costs more money than you’d think initially. Many landlords don’t write down exactly how much it costs to have a unit in a multifamily property get cleaned, get the locks changed and then run application fees on tenants. The price for a new tenant beyond the marketing costs to acquire them can be enough to slash your profit margin. There are several strategic moves you can start implementing now to avoid future tenants bailing on you. We don’t mean literally get the ultra-nice gold paper for your lease renewal agreements. We mean simply that you should incentivize your renewals. Perks are essentially the major attraction for most tenants, in fact, it’s likely why they’ll eventually end up leaving your unit. Someone will offer a $500 gift card or signing bonus when they agree to a different lease. The trick is beating those other multifamily units at it and making your amenities and incentives better. 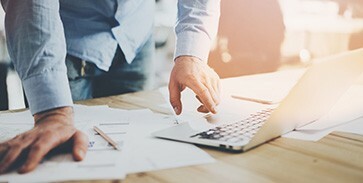 If you’re pausing, trying to do the math if your organization can afford incentives for every tenant, know that it doesn’t always have to come at your expense. You could consider gifting out upgrades to the home that increase the value of each unit. Flooring improvements, better lawn services, a complex-wide pool or gym addition can all be written off as tax deductions that can save you money down the road and currently. Even a new paint job to make your units look sleeker and attractive could be enough to make more tenants stick around for years to come. If you’re looking to create a more powerful incentive you can always try to appeal to your tenant’s needs. Do your tenants have kids? Maybe offer discounted amusement park tickets, or just free tickets for a family of four. Bulk prices from places like Costco and other outlets can help you make it a more cost effective solution. If your tenants work quite often, think about providing a couple of coffee shop vouchers or let folks enter a drawing for a couple of different computers and tablets. This helps your tenants associate good feelings with your brand and their unit. You could even think about talking to local businesses about establishing a regular discount for your tenants specifically. The more little perks like this, the more they’ll think twice before turning to look for another apartment. Fostering a sense of community isn’t just helping Google be successful. It’s a strategy implemented all over the United States to help people feel at home wherever they’re at. 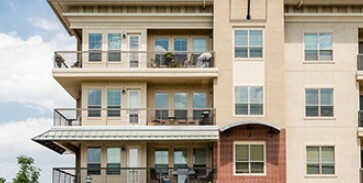 If your tenants are going to feel at home anywhere it should be in your multifamily unit. This will be one of the most powerful motivators to keep your tenants where they are. Start by engaging all of your tenants. Throw small parties and communicate with your tenants on a regular basis; when a tenant reaches out to you, respond quickly and complete their request fast. Build trust with interaction and ensure that your maintenance crew is carrying this strategy throughout their efforts as well. The more members of the community you’ve reached out to them and made an effort to make friendly contact with, the easier it’ll be for you to start crafting a culture. More of those tenants will start attending those pool parties and movie nights you’re throwing. It’ll mean they get to interact with you and create a neighborhood full of people that they can at least call acquaintances. There’s nothing attractive about a place where your neighbors won’t even call if your unit is being cased by a sketchy personality. Promote mingling and support throughout your community as well as a fun environment. People are good anchors for other people:if your tenants all love Jeff in 5B, they likely won’t leave until Jeff leaves. Establish a relationship with your maintenance crew. Make sure they feel indispensable to your units because they’ll feel more willing to respond to your requests in a timely manner. Fostering relationships with your service members around your property as well as with skilled contractors will prevent you from ever having to suffer delays at the hands of your crew those delays will only stem from you. Tenants often get frustrated when their maintenance requests aren’t immediately addressed. They wouldn’t have brought up the issue if it wasn’t a major problem. Perhaps most importantly, it displays that you want to give them a nice place to live and they’ll value that. One of the main incentives for renting instead of owning is not dealing with the regular maintenance issues. Make it worth their while from the get-go with a great team of maintenance professionals. When their lease turns over, offer carpet cleaning or a complimentary maid service that can make their apartment feel brand new for them. It’s a powerful incentive that will make them feel good about renewal season, not stressed out about if they’re going to move or not. They’ll naturally choose the ease of staying put if they’re given powerful reasons to. In the case that they do end up leaving, if you’ve already kept up on the maintenance throughout their stay, your crew will have less to do when they go in and start fixing the place up for the new tenants. You can keep maintenance costs down as repairs won’t be lurking behemoths for you and your maintenance crew to begrudgingly deal with. Everyone will be happier with a little more attention to detail now. If you’re savvy about what tenants are actually shopping for in an apartment, they’ll notice that. For most younger people shopping for apartments, they’ll put quality of life in a unit above the price point. They look for high-tech amenities and they’re looking for a home, not a place to rent. Try and emphasize that it is their home. It’s the culture they’re developing and you’re just the landlord — the concierge taking care of everything for them. Add upgrades that are related to their lifestyle, like stainless steel appliances that are easier to clean or hardwood flooring that looks and feels nicer. Even smaller upgrades like new backsplashes in the kitchen and bathroom can do so much more for the aesthetic of each unit and make the tenant feel like they’re living in a newer, updated space. We recommend reaching out at least 90 days before the lease is up to ask if they want to renew. Even if you don’t get an initial response, it will prompt them to think if they really want to pay the moving costs in money and time just to relocate for no reason. If they give you a “no” early on, then you can get a jump on advertising for a new tenant and finding new applicants for that unit. If these tenants renew regularly, reward them for their loyalty and avoid jumping the renewal rate too high. If they pause at renewing, ask them why they’d want to leave. Ask them what’s making them consider not renewing. If you have already established a good, communicative relationship with your tenant, they’ll feel free to tell you why they’re considering leaving. Before you ask this question, figure out how much exactly it costs to get a new tenant into a unit and if accommodating this tenant in this respect will be less costly than finding a replacement for that unit. Most of the time, giving the current tenant what they’re looking for is cheaper. Taking a risk on a new tenant can cost quite a bit if they turn out to be the sort of person whose late on rent or something akin to that. It may be better for you to invest in your current tenants instead. We’ve been managing multifamily properties in the Broward County area for years and we’re happy to help you side-step all of the tasks above. We enjoy creating communities and places to live for our neighbors in our area. Mostly, we relish helping real estate investors make the most of their time. Start doing the things you want to be doing, not managing an apartment building that was meant to be your passive income. Reach out to us now to find out more.